Prop Dylan started his solo carrier in early 2007, releasing his debut album, A Garbage Pail Kid. Shortly after this he was titled by Kingsize Magazine as one of Scandinavia's most talented rapper’s. This independent artist hit instant success with his first single, from the album Can You Imagine. The single was synchronized in PoorBoyz Productions snowboard movie "Reason", which sold over 90.000 units world wide. The world wide spread led to a chain reaction and the song was in hundreds of snowboard movies during 2007 and 2009. During this time, Prop worked on his second album, Crossing The Bridge which was released in May 2009. The album was well embraced and sold over 1000 units within the first months. In late 2009 Prop received a gold record for selling over 10.000 units of the album. During the years of releasing albums, Prop has toured all over the world in Europe, The United States, Central America and even the Middle East, establishing a solid fan- base. 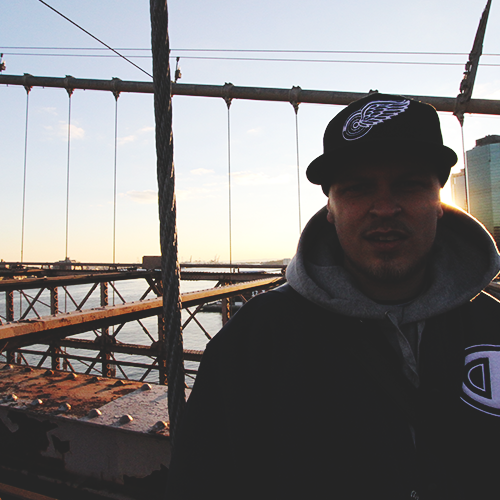 Touring with the likes of Talib Kweli, M.O.P and DJ Premier to name a few, Prop had also established good connections for the future. In 2010 Prop and DJ Premier collaborated on what would become the first single from Props third album. Prop flew over to New York in December 2010 and recorded the song, Shock & Amaze in Headqcourterz Studios, Manhattan. Shock & Amaze was voted as the third best DJ Premier song 2011. The collaboration stamped a quality mark in Props carrier. Knowing all too well what album number three represents in any musical artist’s career, all stops were removed for the making of The Cardinal Sin. The album has been masterfully produced by both DJ Premier and Prop Dylan’s very own Logophobia. Side artists Talib Kweli, Sabina Ddumba and the Dilated Peoples members Evidence and Rakaa adding the icing to what was always going to be the eye opener for this independent artist. Prop Dylan has a natural flow, a skill for both meaningful lyricism and spitting fluidly through top shelf productions. The Cardinal Sin was reviewed by countless magazines, given 4 to 5 out of 5 ratings. The leading hip hop magazine Kingsize still holds Prop Dylan as one of Scandinavia's most talented and respected rapper’s. After intense touring, after releasing The Cardinal Sin, Prop Dylan is now back with launched batteries to release his fourth studio album entitled TWIMC, To Whom It May Concern.